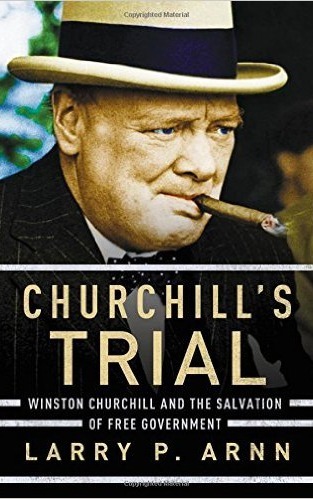 WC_Product_External Object ( [extra_data:protected] => Array ( [product_url] => [button_text] => ) [object_type:protected] => product [post_type:protected] => product [cache_group:protected] => products [data:protected] => Array ( [name] => Churchill's Trial [slug] => churchills-trial [date_created] => WC_DateTime Object ( [utc_offset:protected] => 0 [date] => 2015-09-27 21:39:17.000000 [timezone_type] => 3 [timezone] => America/Detroit ) [date_modified] => WC_DateTime Object ( [utc_offset:protected] => 0 [date] => 2015-09-27 21:39:17.000000 [timezone_type] => 3 [timezone] => America/Detroit ) [status] => publish [featured] => [catalog_visibility] => visible [description] => Larry P. Arnn offers a penetrating look at the greatest challenges Churchill faced over the course of his extraordinary career, namely, Nazism, Soviet communism, and the growing domestic threat of socialism. Arnn analyzes these crises in the context of Churchill’s abiding dedication to constitutionalism. No statesman shaped the twentieth century more than Winston Churchill. To know the full Churchill is to understand the combination of boldness and caution, of assertiveness and humility, that defines statesmanship at its best. With fresh perspective and insights based on decades of studying and teaching Churchill, Larry P. Arnn explores the greatest challenges faced by Churchill over the course of his extraordinary career, both in war and peace—and always in the context of Churchill’s abiding dedication to constitutionalism. In a scholarly, timely, and highly erudite way, Larry Arnn puts the case for Winston Churchill continuing to be seen as statesman from whom the modern world can learn important lessons. In an age when social and political morality seems all too often to be in a state of flux, Churchill’s Trial reminds us of the enduring power of the concepts of courage, duty, and honor. Larry P. Arnn offers a penetrating look at the greatest challenges Churchill faced over the course of his extraordinary career, namely, Nazism, Soviet communism, and the growing domestic threat of socialism. Arnn analyzes these crises in the context of Churchill’s abiding dedication to constitutionalism.